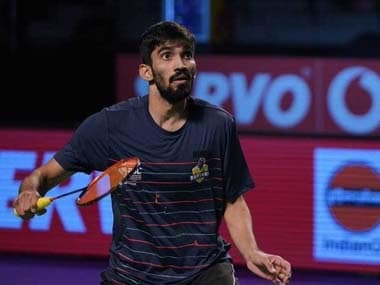 Former world number one Kidambi Srikanth slipped one place to be at the eighth spot but young Harsheel Dani jumped 22 places to reach the 89th position in the latest BWF rankings released on Tuesday. File image of Kidambi Srikanth. Dani's ranking was boosted by his title win at the Dutch International. 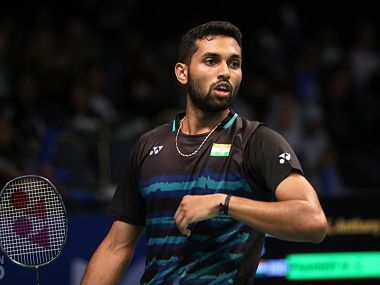 Sameer Verma, who had reached the quarter-finals at Singapore Open last week, improved a place to reach the 15th spot, while former Commonwealth Games champion Parupalli Kashyap also improved three places to reach the 39th position. Lakshya Sen, who had recently had a final finish at the Polish Open, too, surged two places to be at 71st spot. B Sai Praneeth and HS Prannoy held on to their 20th and 21st spot respectively, while there was no change in the ranking of PV Sindhu and Saina Nehwal, and they were static at the sixth and ninth spot.